We recently received a new product from our new Canadian Sponsor, E-Compuvision! They just released their own line of heatsink called the CV Chill 370/462. Made specifically for the Socket 370 and Socket A line of CPUs from Intel and AMD. This package they put together is incredible. 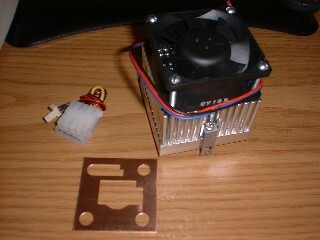 The heatsink comes with a 38CFM Delta Fan, a copper shim and a 3pin - 4pin adapter! There are some nice new features of this cooler. 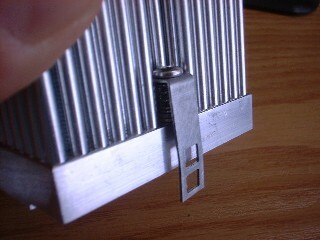 From the picture above, you may notice that the clips are secured by screws instead of the regular clips. E-Compuvision knows all about the horror stories of trying to pry those clips onto your chip so they came up with this easier method. This style of securing the cooler is a lot safer and easier than any of the clips we have come across. 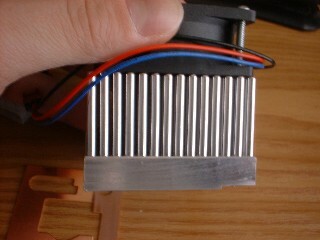 The heatsink itself uses the pin style, which some may say dissipates more heat than the fin design seen on many other coolers.